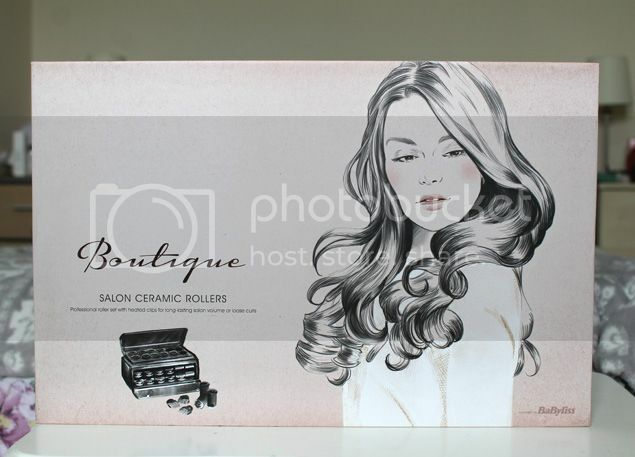 A few weeks ago I was sent these gorgeous Babyliss Boutique Salon Ceramic Rollers and I’ve been testing them out. I have to admit I don’t crack out the rollers very often as I have so little time for the waiting around part, but I do love the end result they give and I’ll always use them for special occasions and evenings out. I was excited when these finally arrived on my desk and couldn’t wait to give them a go. So what did I think? The rollers come in a nice little case which holds both the rollers and the clips and has two lids to access each one. It’s quite compact (although not as compact as my travel ones) but not so bulky that you couldn’t take these with you if you were getting ready somewhere. 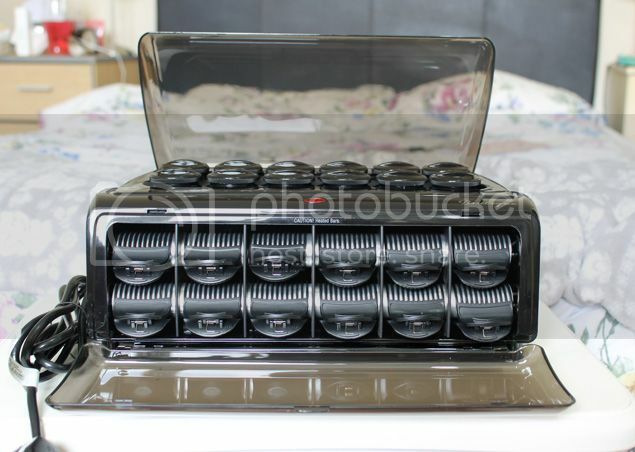 Inside there are 12 rollers which have a lovely velvety coating around the barrel of the roller and 12 plastic clips. 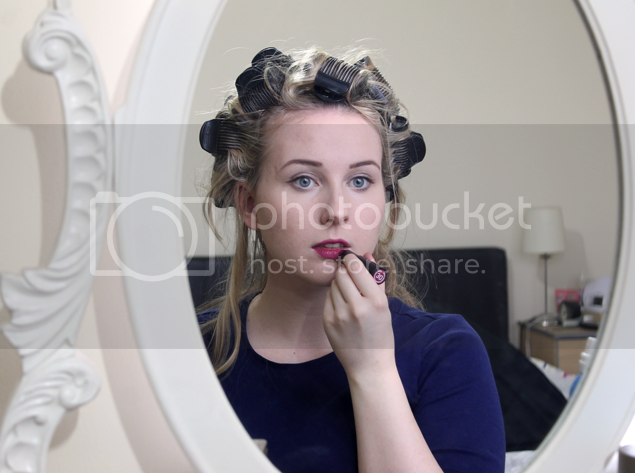 I’m no pro with rollers in all honesty as seen by the pictures, and it’s probably because I don’t practice enough. However the velvety part of the barrel does make them quite easy to use as the hair doesn’t immediately fall off when you’re attempting to wrap it around. They heat up fairly quickly so you’re not waiting around, but don’t be fooled into thinking the light on the front will come on when they’re ready else you’ll be waiting forever like I did! In actual fact one of the rollers has a little red dot that turns white when the rollers are ready. What I loved most about these rollers and what made me choose them in the first place was the heated clips. With my other rollers they use pins and they can be quite fiddly to make stay in your hair and also hurt, plus they aren’t heated. With the clips the heat helps to hold the curl longer and the rollers actually feel more secure in your hair so you can bob your head a little more freely when dancing along to your favourite tracks. My only gripe with these, like many other sets of rollers I’ve found is there’s not enough to do the sheer amount of hair that I have (it’s a lot!) 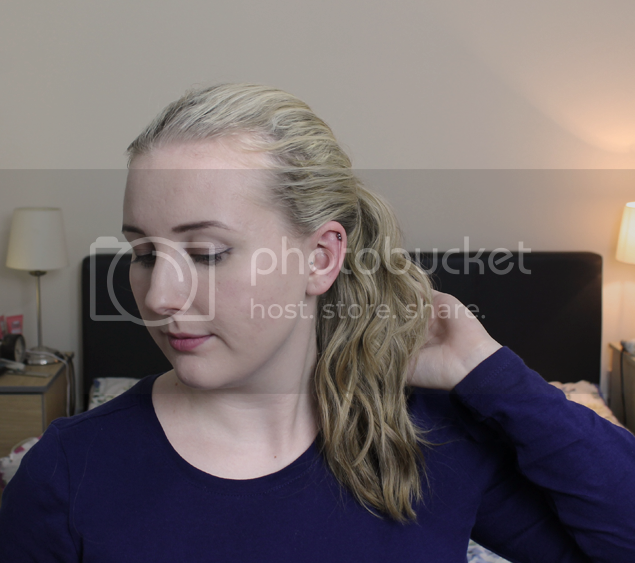 and it’s really annoying as I usually end up having to curl the bottom part of my hair rather than wait till some rollers can be taken out and replaced. As I mentioned before I love using rollers as my go to evening party hair style. Although you have the initial faff of putting the rollers in, once you take them out you just need to give your hair a little shake, add some hairspray and voila! 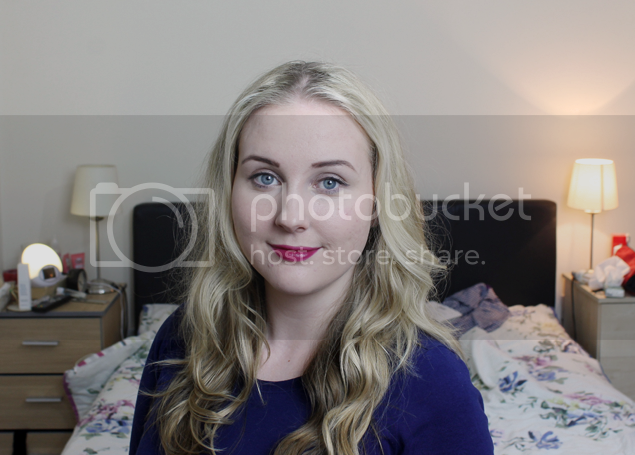 Instant glam! I certainly cannot be bothered with the hassle of rollers during the day but what I found as a great daytime hair style is the morning after you’ve used the rollers you can flip your hair upside down and fluff up the roots a little bit then pop it up in a voluminous pony tail – unless your hair is covered in drink/vomit/delete as appropriate – which makes it looks like you’ve made far more effort than you actually have. Perfect for if you’ve got to somewhere to be and you’re hungover. Overall I am really impressed with these rollers. They aren’t too fiddly and pretty quick to put in and give really good results (when I can do it right!). I’d definitely recommend investing in some rollers with clips it makes them so much easier to use.